Today Zoom announced that we have entered into a Europe distribution agreement with Ingram Micro, the leading global distributor of technology products and services, to expand its reach into the IT and AV channel. Under the new alliance, channel partners across Europe will now be able to source Zoom’s suite of video communications and conference room solutions from Ingram Micro. This announcement follows our US distribution agreement with Ingram Micro. “Zoom’s goal is to deliver robust and easy-to-use enterprise video communications. The IT and AV channel community is instrumental in helping us to achieve that goal,” said Daniel Creigh, Zoom’s head of UK and Ireland. 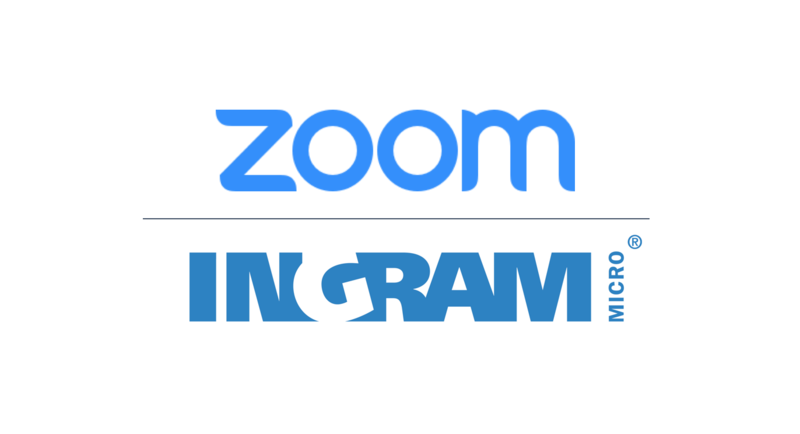 “With its position as the world’s largest wholesale technology distributor and a global leader in the IT supply chain, Ingram Micro will accelerate the pace at which Zoom can expand its reach. Furthermore, the agreement enables channel partners to specify our solutions alongside complementary vendor products to offer their customers a complete solution. This creates exciting new opportunities for the entire IT and AV channel across Europe,” he added.